Anthony Hood, Ph.D., and his wife, Robin, often walk or drive through their Bush Hills neighborhood to admire the beautiful homes lining the streets. But they are also disheartened by how many homes appear unoccupied and abandoned. Hood and his wife were able to launch NHabit Bush Hills thanks to the Community Health Innovation Awards (CHIA), an annual grant competition from the UAB Center for Clinical and Translational Sciences (CCTS). Administered by the CCTS One Great Community council, the awards encourage local organizations to develop clever, creative solutions to public-health challenges in Birmingham-area neighborhoods. Robin and Anthony Hood developed NHabit to help reduce the number of vacant houses in Bush Hills. The seven newest CHIA winners were chosen last fall by a panel of five judges representing business, health care, public health, education, and nonprofit and private sectors. Some of their smart solutions include using art, gardens, light, and sound to create a safer Ensley; transforming a soup kitchen into a healthy food café to train junior chef interns; and promoting walking for transportation and fitness via smartphone apps and social media. Several UAB schools and centers contributed a total of $76,500 for grants. Started in 2012, CHIA is no ordinary grant-making process, says Shauntice Allen, Ph.D., CCTS program manager for One Great Community. Applicants are matched with mentors and attend workshops to help them brainstorm unique ways to tackle community issues. Applicants also have the opportunity to make their case not only on paper, but through an oral presentation as well. David VanWilliams (second from right) teaches job skills to Inglenook’s young adults, including (left to right) Ronny Thompson, Johnathan Woods, and Floyd O'Neal. 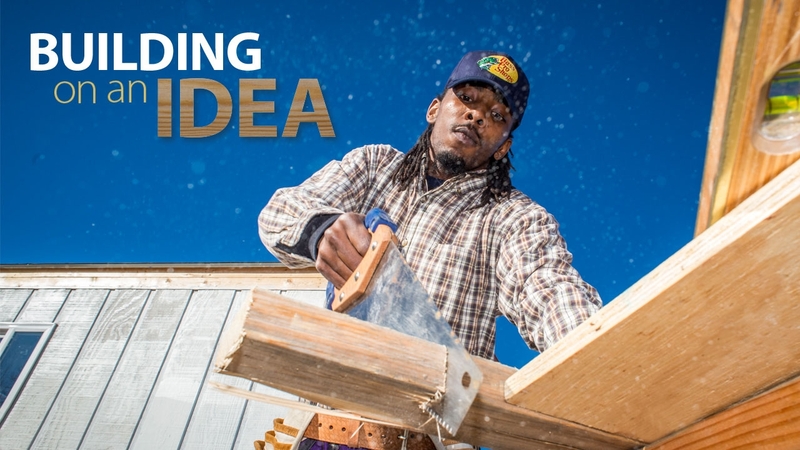 For years David VanWilliams, a master carpenter in Birmingham, had dreams of starting a program that would teach carpentry to young adults in Birmingham. With a $25,000 grant from CHIA, he was able to launch the Community Carpentry Project in the Inglenook neighborhood in March 2014. The inaugural class of 12 students, ages 18 to 25, completed the program with enough knowledge and training to be qualified for a job as a carpenter’s helper or to pursue advanced carpentry education. “We have a lot of young people who, because they can’t get jobs, get frustrated and get involved in crime and violence, and this doesn’t have to be,” VanWilliams says. With his program’s training, young adults can now take advantage of “jobs that are happening all around them, whether it’s a restaurant, bridge, or high-rise building being built or a house being remodeled in the neighborhood,” he adds. • Learn more about the UAB CCTS Community Health Innovation Awards. • Give something and change everything for Birmingham by supporting innovative community-building initiatives.